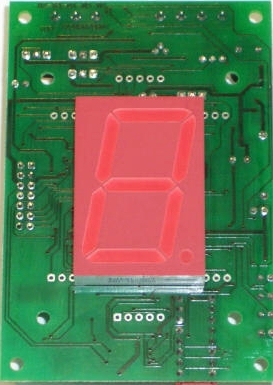 The SSD-3 is a Modular Serial Digital Display 1.5 Inch 1 Digit . All the SSD displays communicate via serial communication by a regular pair wires, power supply of 18vdc,Ground. This including blind buzzer and lift is here in floor . The Indicator digits are programmable via Leeav’s TST Portable Programmer. Arrows /lanterns and gongs can be chosen as the method to announce the arrival of the lift in response to a hall call. Distinctive up going and down going gong chimes are supported.